It seems it is human nature to repeat patterns of behavior around conflict, to tell repeated stories of immovable responses to it as if these stories were absolutely true. This workshop invites you to explore the dynamic interaction between your inner conflicts and the ones that manifest in the mirrors you meet. 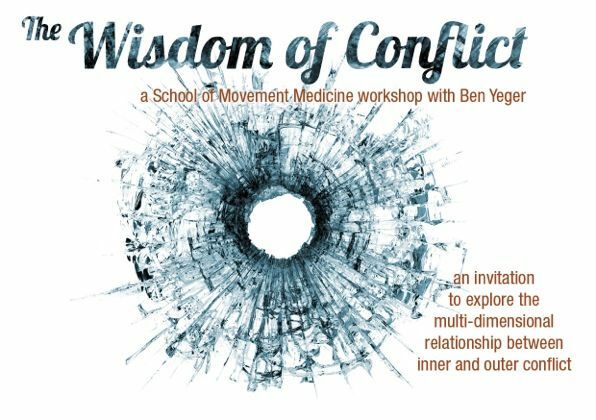 In this weekend we will draw on Movement Medicine, Joanna Macy’s Work that Reconnects and other creative embodied practices to explore the complex relationship we all have with conflict. Inner and outer, big and small, personal and collective. Ben Yeger is a Drama Therapist and highly experienced group facilitator. He is a Qualified Movement Medicine Facilitator and Teacher and has been studying with Ya'Acov and Susannah Darling Khan since 2000 and is a faculty member for the School of Movement Medicine.